FoxenTheSnow (Grade: A–) I really loved how appropriately teenaged and self-aware the characters were--which makes for sometimes-uncomfortable reading, particularly as they unravel issues of race. I loved the honest, raw romance (I remember writing a note to a boy when I was seventeen--"Dear A. Being around you makes me want to eat my own hand . . ."), the sparks, the self-conscious accidental poetry of their love-struck thoughts, Eleanor's poverty and bodily awareness, and the spot-on conversations about pop culture. kynswain (Grade: A+) What a beautiful book, not what I expected it to be. Young love, music, family life. It has it all. If your looking for a book to touch your soul this is the one. bennettgavrish (Grade: A–) My experience with young adult romances is lacking, so I was inevitably comparing this book to "The Fault in Our Stars" as I went along. It surpasses John Green's novel in the fact that its characters speak believable, down-to-earth English, and with the way Rainbow Rowell interweaves the male and female mindsets. 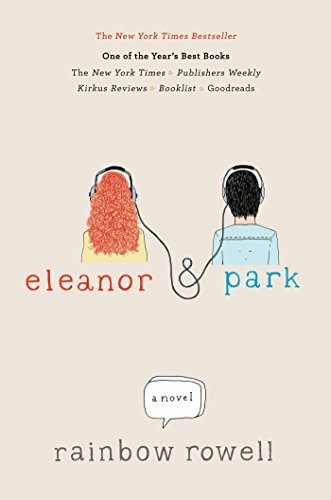 "The Fault in Our Stars" may bring you to tears but "Eleanor & Park" will forge an honest connection with your soul. notesinthemargin (Grade: A) Rainbow Rowell cuts out your heart and stomps on it. She brings a kind of beautiful tragedy to a first love story. It's not all sunshine and daisies. Thoughtful. VonBrandtner (Grade: A–) Really good coming of age book about two social misfits finding each other and falling in love.